As I've just finished listening to the audio book of Cakes and Ale by W Somerset Maugham which features a character based on Thomas Hardy, I felt I needed a typically melancholic Hardy poem today. I also wanted a poem about rain. I don't find rain melancholy & we had some lovely rain in Melbourne on Friday that filled up my rain water tanks & gave the garden a thorough drink. This is not to be sniffed at in the middle of an Australian summer. This poem, Rain on a Grave, is very Hardy. Sister Anne, of the Convent of St Anselm, has been found dead at the bottom of the cellar steps. The back of her head has been shattered by a heavy blow but there's a curious absence of blood at the scene. What was meant to look like an accident is soon revealed to be murder. Inspector C D Sloan of Calleshire CID arrives, accompanied by his very raw constable, William Crosby. A convent is foreign territory to Sloan & his investigation isn't helped by the unhelpfulness of witnesses who practice custody of the eyes & make a virtue of being unobservant. Sister Anne was seen at Vespers on the night of her death but, when forensic surgeon Dr Dabbe determines that she must have been dead at least two hours earlier, who was it who sat in her stall in Chapel? And where were Sister Anne's glasses when she couldn't see very far without them? Before she entered the convent, Sister Anne had been Josephine Cartwright, a member of a wealthy family, who disowned her when she became a nun. That wealth was made in munitions during the Great War & Sister Anne is due to inherit a substantial amount of money which her disapproving family can't prevent. She wants to use the money to build a cloister for the convent & to further the order's work in the mission field but this plan would not please her cousin, Harold, the Managing Director of the firm which is just about to be listed as a public company.Why should Harold Cartwright have suddenly decided to visit his cousin after twenty years, on the very day she's murdered? Could one of Sister Anne's fellow nuns murdered her for the sake of the inheritance? Sloan must try to penetrate the bland courtesy & unvarying routines of the nuns to discover if any of the Sisters had a secret in their past that could have led to murder. The investigation takes another turn when the students at the nearby Agricultural Institute dress their Bonfire Night Guy in a nun's habit. After an anonymous tip off, Sloan arrives just in time to rescue the guy from the flames & discovers that it's also wearing Sister Anne's glasses. 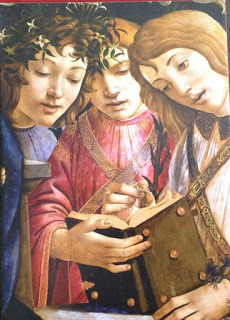 Three students confess to stealing the old habit from the convent on the night of the murder but deny knowing anything about the glasses. When one of the students is found dead, strangled in the Convent shrubbery, it seems that he must have seen something that was dangerous to the murderer, whether he realised it or not. The Religious Body was the first of Catherine Aird's Inspector Sloan mysteries, published in 1966. I must have discovered them in the 1980s & I've read them all. I can't resist a convent mystery (having recently reread Antonia Fraser's Quiet as a Nun) & it's been so many years since I read this that it was like reading a new novel. Open Road Media have released many of the Sloan series as eBooks & we've bought some for our eBook collection at work so I plan to read a few more of the early books. 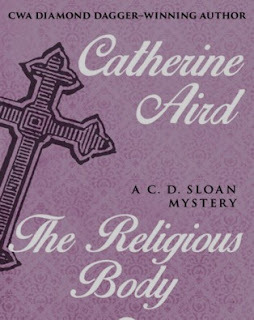 Reading The Religious Body reminded me of Catherine Aird's only non-series mystery novel, A Most Contagious Game, which I've linked to in my featured post this week. I do like her writing style, her cool, dry humour & she has a real sense of atmosphere. Inspector Sloan is an engaging detective who has much to put up with the very inexperienced Crosby & his tetchy boss, Superintendent Leeyes. This poem, Mesopotamia, was written after the publication of a report into the disastrous Allied campaign there during WWI. The Army had learnt nothing from previous mistakes & the mismanagement, especially of the wounded, became a scandal. Kipling's frustration is evident in the poem. Since I've been reading Kipling's stories & poetry, I seem to see his name everywhere. I read this article in the Guardian on the 150th anniversary of Kipling's birth. I also discovered here that John Kipling's grave has been found. Last week I mentioned the poignancy of Kipling writing the epitaph for the graves of unidentified soldiers when his own son's remains were never found. 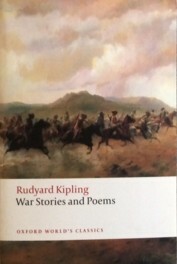 I can also recommend the episode of BBC Radio's In Our Time on Kipling which is mentioned at the end of that article. 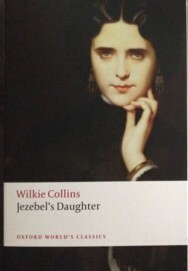 It's been much too long since I read a Wilkie Collins novel so I was very pleased to see that Oxford University Press were publishing a new edition of one of his lesser-known novels, Jezebel's Daughter. This is a late novel, published in 1880 & a short novel by Victorian standards, only 250pp. However, it is full of all the themes & preoccupations of Collins' other novels - the position of women in society, the growing influence of science for good & evil, social justice & a good proportion of superstition, sensation & intrigue, including a pivotal scene in a morgue. David Glenney is looking back on the events of his youth from a distance of 50 years. In the 1820s, he was working in his uncle, Mr Wagner's, business which has offices in London & Frankfort. 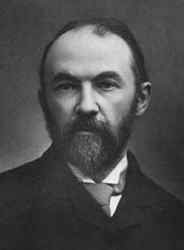 Mr Wagner, a good businessman with a social conscience, dies, leaving his very capable widow to continue the business & to carry out his particular plan, the reform of the treatment of the insane in asylums such as Bedlam. To this end, & against the advice of lawyers, Mrs Wagner decides to take one of the inmates of Bedlam, known as Jack Straw, into her home. Jack Straw got his name because of his ability to plait straw which calms his nerves. Although the origin of his illness is unknown, some form of poisoning is suspected. He is soon devoted to Mrs Wagner & she treats him with kindness, giving him responsibilities in the business such as becoming Keeper of the Keys, a title he's very proud of. The Frankfort office is run by the other two partners in the business, Mr Keller & Mr Engelman. Mr Keller's son, Fritz, is sent to the London office to get him out of the way of a young woman he wishes to marry. Minna Fontaine is the Jezebel's daughter of the title. Madame Fontaine is the widow of an eminent chemist. She has the reputation of a spendthrift & her extravagant debts are said to have ruined her husband's health. 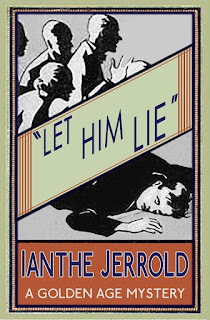 After his death, a medicine cabinet, said to contain dangerous potions, goes missing & investigations lead nowhere although suspicion points to Madame as the thief. Mr Keller is determined that Fritz & Minna will not marry & refuses to meet either lady. Madame Fontaine is just as determined that they will marry & her maternal devotion & her desire for Minna to marry a rich man who will pay her debts for fear of scandal, is the catalyst for the events of the novel. David goes to Frankfort to implement another of Mr Wagner's innovations. He wants to introduce female clerks into both the London & Frankfort offices. His conservative German partners are sceptical but treat David cordially & he does all he can to keep the young lovers in contact with each other. David is suspicious of Madame Fontaine whose outward appearance of kindness & solicitude is betrayed by an underlying tension & frustration which David glimpses several times. Eventually, Madame contrives to meet Mr Engelman, whom she fascinates & flatters until he's hopelessly in love with her. This provides her entrée in the Keller household. She even becomes housekeeper to Mr Keller, after she nurses him through a serious illness. Mr Keller eventually agrees to Fritz & Minna's wedding & it seems that Madame Fontaine's problems are over. Mrs Wagner decides to visit Frankfort, bringing Jack Straw with her. The two widows dislike each other on sight & Jack is also known to Madame Fontaine as he was once an assistant in her husband's laboratory. Jack has knowledge of Madame's past & she fears that this knowledge will ruin all her plans. The contents of Monsieur Fontaine's medicine cabinet give her great power & she is not afraid to use it, to devastating effect. Jezebel's Daughter began life as a play, The Red Vial, which Collins wrote in 1858. The play was a flop; reviewers acknowledged the sensational elements but felt that the play needed some comic sub-plot to avoid the audience sinking into despair & even some inappropriate laughter at the end of two hours of melodrama. 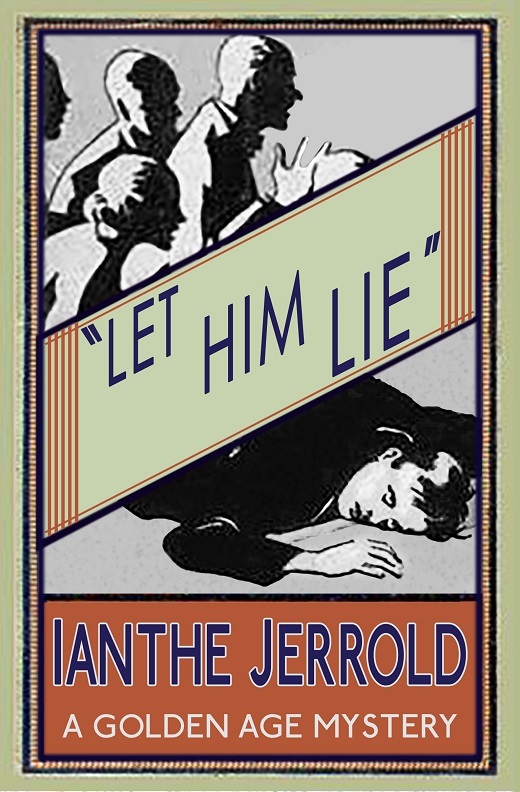 Twenty years later, Collins reused the story in this novel. Collins excels at depicting strong women & Mrs Wagner & Madame Fontaine are wonderfully complex characters. The story doesn't have many elements of mystery to it as we're never really in doubt as to Madame's duplicity. The first half of the story is told by David as an eyewitness & he is suspicious of her from the first. The second half, after an interlude consisting of three letters, is narrated by David from the testimony of others along with letters addressed to him (he's in London through most of this part of the story) & a diary. There may not be much mystery but there's a lot of sensation in the plot. From the visit to Bedlam when Mrs Wagner meets Jack Straw, to the mysterious disappearance of Monsieur Fontaine's medicine cabinet, illnesses & miraculous recoveries & the final scenes in the Deadhouse where superstitious Germans paid a Watchman to stay with their dead loved ones before their funerals in case they revived, there are enough shocks to satisfy any fan of sensation fiction. 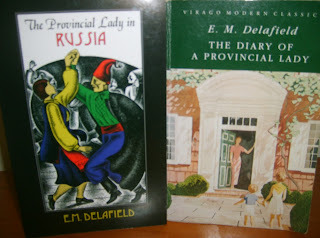 Minna is a bland heroine, sweet, dutiful & rather dim & her Fritz is boisterous & conventional. The real interest is in Madame Fontaine's almost obsessive love for her daughter & the mixed motivations inherent in her desire for Minna's marriage. She certainly wants her daughter to be happy & to marry the man she loves but she needs Minna to marry a rich man who will pay a promissory note that's about to fall due. Madame Fontaine will do anything to bring about the marriage & it's frightening to see the lengths that she will go to when it seems her plans are about to come unstuck. Jezebel's Daughter isn't one of Collins's best novels, coming near the end of his career & twenty years after the high points of The Moonstone, The Woman in White & Armadale. However, there's a lot to enjoy in the portraits of the two widows, kindly Mr Engelman & rigidly correct Mr Keller & Jack, who often plays the role of fool or jester, presuming to speak the truth to his social superiors whether they want to hear it or not. Oxford University Press kindly sent me a copy of Jezebel's Daughter for review. My Barbara Pym mug has arrived & much tea has already been sipped from it. In honour of the occasion, naturally I have to reread Excellent Women (the Folio Society edition even has a silver teapot on the cover). But, I also want to reread Cold Comfort Farm after reading an article or a link that I now can't find. I can find this article in the Guardian about the joys of reading Gaudy Night by Dorothy L Sayers. Interestingly, the author of the article read Gaudy Night first & wasn't a fan of detective novels, although she went on to read the other Wimsey novels. I can see why someone who didn't like detective novels but did enjoy novels about academic life, writers & Oxford would enjoy Gaudy Night. Luckily I reread Gaudy Night just last week so I don't need to reread it again just yet. I would like to find some time to watch the TV adaptation again though. Then, thanks to a link on Facebook, I discovered this terrific radio program, part of the celebration of the 125th anniversary of Agatha Christie's birth. 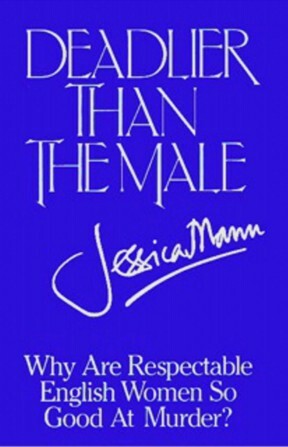 Jessica Mann talks to Janet Morgan, Julian Symons & others about Christie. It was first broadcast in 1982 as part of the Queens of Crime series. 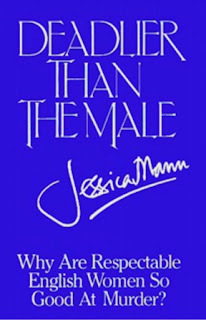 I wish I could hear the other episodes but I do have Mann's book, Deadlier than the Male, about the Queens of Crime, which was rereleased as an eBook last year. If only I can squeeze it in somewhere. I was reading an article in History Today (last March's issue, there's no way I'm up to date with History Today) on the Commonwealth War Graves Commission (they'd won a History Today award) & came across a mention of Kipling's short story The Gardener. I have the story in this collection so pulled it off the tbr shelves. It's now sitting with two Tolstoy stories that were recommended somewhere & The Executor by Margaret Oliphant, which is the story that begins her Carlingford Chronicles. As the first sentence of The Executor is "The woman was certainly mad" said John Brown - I need to read on as soon as possible. These are the books I've pulled off the tbr shelves in just the last month or so that were definitely going to be next. 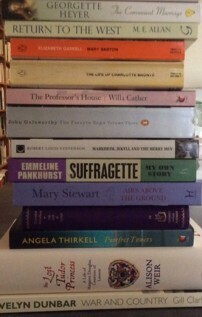 Nearly all these books were chosen in response to an article, a review, a movie (Suffragette), a longing to read a Scottish book (Return to the West), reading another book (Gaskell's life of Charlotte Brontë by reading Claire Harman's life of Charlotte Brontë). Angela Thirkell is there because I keep preordering the Virago reprints of her books but not actually reading any of them. The book on Evelyn Dunbar is there because I read the Persephone posts about her late last year when they had an exhibition of her work in the shop. I love Alison Weir's biographies & always drop everything to read them but at the rate I'm going, the paperback of The Last Tudor Princess will be out before I get around to it. 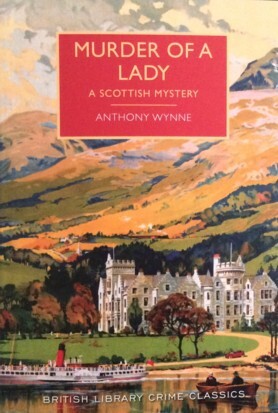 Then, this arrived, the latest British Library Crime Classic, Murder of a Lady, by Anthony Wynne. It was a preorder so I didn't break my book buying ban. And it's set in Scotland and I love the cover. The castle looks like Glenbogle from Monarch of the Glen, doesn't it? Here's a picture of a cake I made on Monday with more of the zucchinis that are going mad in the garden at the moment. I also used some of the yoghurt I bought by mistake at the weekend. I finally found a brand of Greek yoghurt without cream (why put cream in yoghurt in the first place?) But, instead of buying the Natural, I bought the Classic which has sucrose in it. Much too sweet for me. So, I searched online for a zucchini & yoghurt cake & found this one at Chelsea's Messy Apron. No rambling post would be complete without a cat photo. So, here's Phoebe looking angelic & fast asleep on my bed last weekend. I'm not quite finished with the New Year just yet. I came across this poem by Tennyson, which is actually a section of his much longer work, In Memoriam, in Janet Morley's anthology, Haphazard by Starlight. 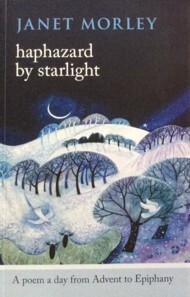 The anthology has one poem a day to read from Advent to Epiphany so I finished reading it last week. This poem encapsulates the sadness & melancholy of the dying year so beautifully, especially in the context of In Memoriam, which was about the death of Tennyson's great friend, Arthur Hallam, who died at the age of 22 in 1833. It's also about looking forward to the new year as well, with hope & optimism. My current audio book is Ian Carmichael's wonderful recording of The Nine Tailors by Dorothy L Sayers. The book, as well as being a detective novel & an evocative picture of the Fens, is about bell-ringing so the image of ringing bells in Tennyson's poem is appropriate there as well. I know very little about the ancient world. My knowledge of the Roman Empire doesn't really stretch much further then Roman Britain, apart from a few famous names - Romulus & Remus, Cicero, Julius Caesar, Claudius, Nero. 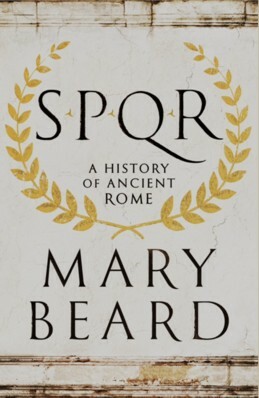 After enjoying Mary Beard's book on Pompeii, I was eager to read her new book about Rome in the hope of enlightenment. The title - SPQR - is the abbreviation for The Senate and People of Rome. This book tells the story of Rome from it's earliest beginnings until 212 CE. Opening with the dispute between the aristocrat Catiline & the famous orator, Cicero, in 63 BCE, we then go back to Rome's beginnings to investigate the myths that lie at its heart. The twins, Romulus & Remus, suckled by a wolf, are the traditional founders of Rome. Mary Beard explores the origins of this story & whether there is any archaeological evidence to edge the myth towards history. Rome's beginnings were agricultural, ruled over by a monarchy, but by the 5th century BCE, Rome had become a Republic, with a class system that encompassed both slaves & free citizens, patricians & plebeians. The decision to appoint official representatives of the people, known as tribunes, was crucial & eventually the second-class status of plebeians was virtually abolished as all major offices were opened to them. The expansion of Roman power was crucial in turning the Republic into an Empire. The successes of the Army & its Generals led to a period of civil war & political assassinations that ultimately led to autocratic rule being re-established. The triumvirate of Julius Caesar, Pompey & Crassus, instigated to consolidate their power in the Senate, deteriorated as Caesar increasingly tried to shore up his own position at the expense of the other two. Julius Caesar's attempt to become a dictator ended with his assassination but it was his heir, Octavian, who renamed himself Augustus & became Rome's first Emperor. The story of the Julio-Claudian Emperors is probably the best known part of the story. Augustus, Tiberius, Caligula, Claudius & Nero, their wives & families are notorious figures. The stories of excess, cruelty & betrayal are familiar through film, books & television. The empire continued on after them, with another ten emperors after Nero until 212 CE. As interesting as the stories of the elite were, I was just as fascinated by the stories of ordinary Romans. 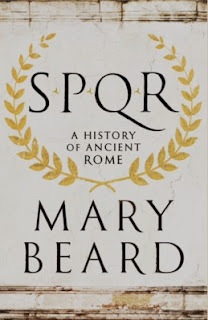 These stories of ordinary people are difficult to find but Mary Beard has done just that in her previous books & TV series like Meet the Romans. In this book, she shows us what it was like to live in Rome. The diet, the houses (the rich lived on the ground floor with the poor at the top of the house. The bars, shops, baths & workplaces. In ancient Rome it was the poor who went out to eat as they had no way of cooking in their tiny apartments. She discusses marriage, the status of women, family relationships, the treatment of children, the ways of becoming a citizen & the entitlements that came with that status. These chapters give a real depth to the story of Rome & a feeling of what life was like then, in a period so long ago that it's difficult to grasp. It also reminds us that, no matter what the Emperors or Senators were doing, life went on for the vast majority of Romans. Did it really matter which Emperor was on the throne? The plots & conspiracies, the foreign wars against rebels & enemies, impinged very little on the lives of ordinary people. SPQR is engaging & absorbing. It's the perfect introduction to the history of ancient Rome & it's made me want to read more about the Empire in the works of the ancient authors like Tacitus & Suetonius as well as modern interpretations. Happy New Year to everyone who visits I Prefer Reading. This is a lovely New Year song, sung to the tune of Greensleeves. Here's a version sung by TENET & another by the Chicago Early Music Consort. Here's to another year of health, happiness & lots of wonderful reading. God send you a happy new yeare! Who for to save our soules was born. God send us a merry new yeare! And that the truth may appeare. For welcome you need not feare! This jolly good cheere it must goe to wrack! Ile drink to each one in this hall!